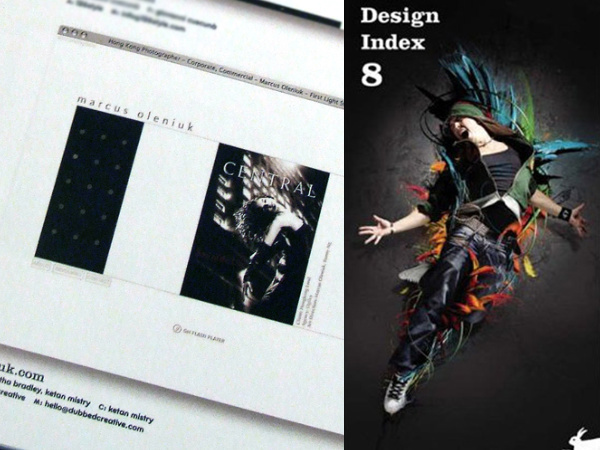 Created by Ketan Mistry, oleniuk.com has been included in the latest publication of the Web Design Index (8). The series is one of the most important publications in its field. Since its first edition in the year 2000, the annual Web Design Index has developed into one of the most important publications in its field. Year after year, it gives an accurate overview of the state of the art in web design. Every Web Design Index contains 1002 outstanding web pages. With each web page, the URL is indicated, as well as the names of those involved in the design and programming. Selection for the Web Design Index is based on design quality, innovation, and effectiveness, and the books offer examples of all conceivable forms and styles. The Pepin Press/Agile Rabbit Editions web design indexes are international best-sellers, with about a quarter of a million copies sold worldwide.